Now the sport’s MVP and valued at close to $500million, he is yet a divisive figure on and off the court. But love him or hate him, everyone has an opinion on James Edward Harden Jnr these days. Growing up his surroundings were eye-opening. 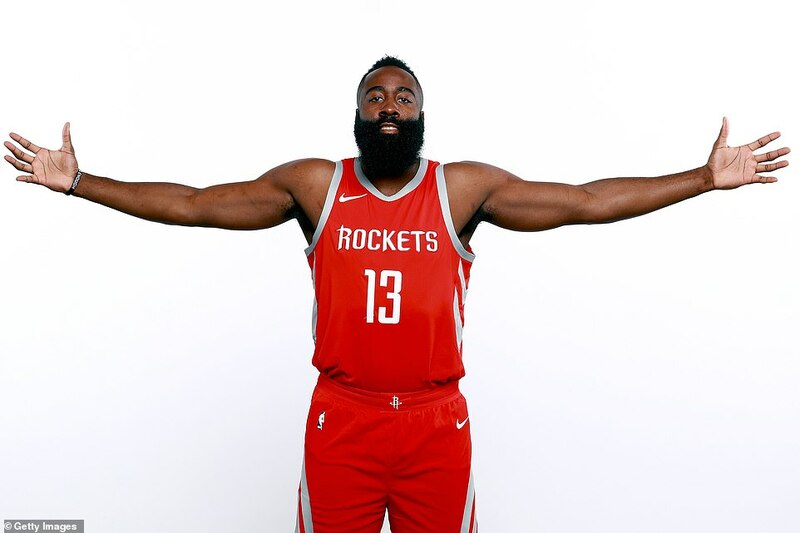 His father dipped in and out of jail and played little to no role in Harden’s formative years as Willis raised him and his two siblings in a mobile home in Compton while the 1992 LA riots raged across the city. Homicide rates in men were high. Gang recruitment among young boys likewise. 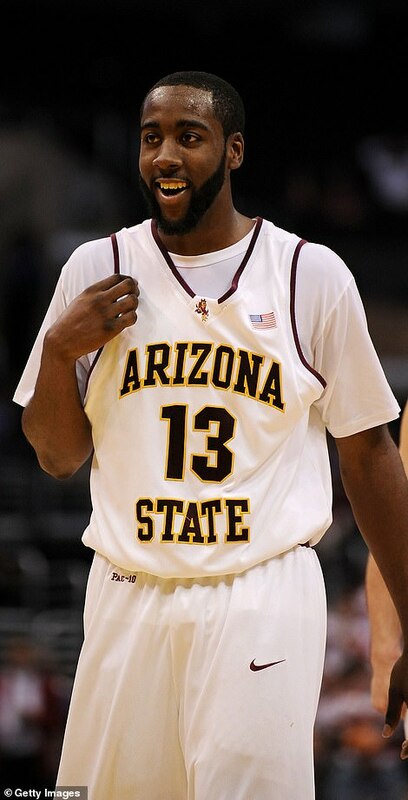 A spot at Arizona State University arose – he became the marquee signing – and a clean-shaven Harden now appears almost unrecognisable on reflection. But like most college students, laziness slowly crept into his lifestyle and as he developed physically, he was faced with a decision that would later become a million-dollar question: shave the beard, or keep it? Laziness won and soon scouts across the US were fascinated by the shooting guard they simply referred to as ‘The Beard’. 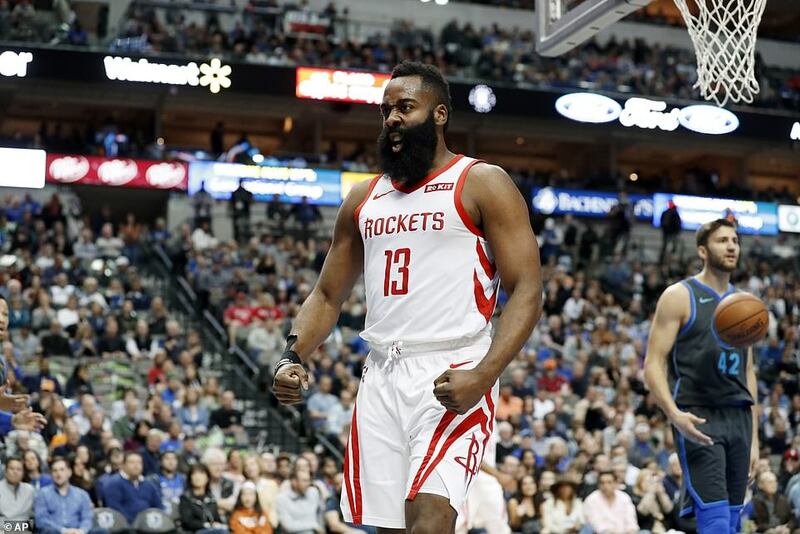 With the help of his trusted inhaler – and the notoriety of his beard – Harden soon became a nationwide talking point and with the 2009 NBA draft on the horizon, teams were busy jockeying to secure his signature. It quickly became apparent that of all the top young players up for draft selection, Harden was one many really wanted. First out came 2019 NBA All-Star Blake Griffin, then came 7ft 3in ‘unicorn’ – a term given to taller players that are considered to be genetically advanced – Hasheem Thabeet, now plying his trade in Japan with the Yokohama B-Corsairs. 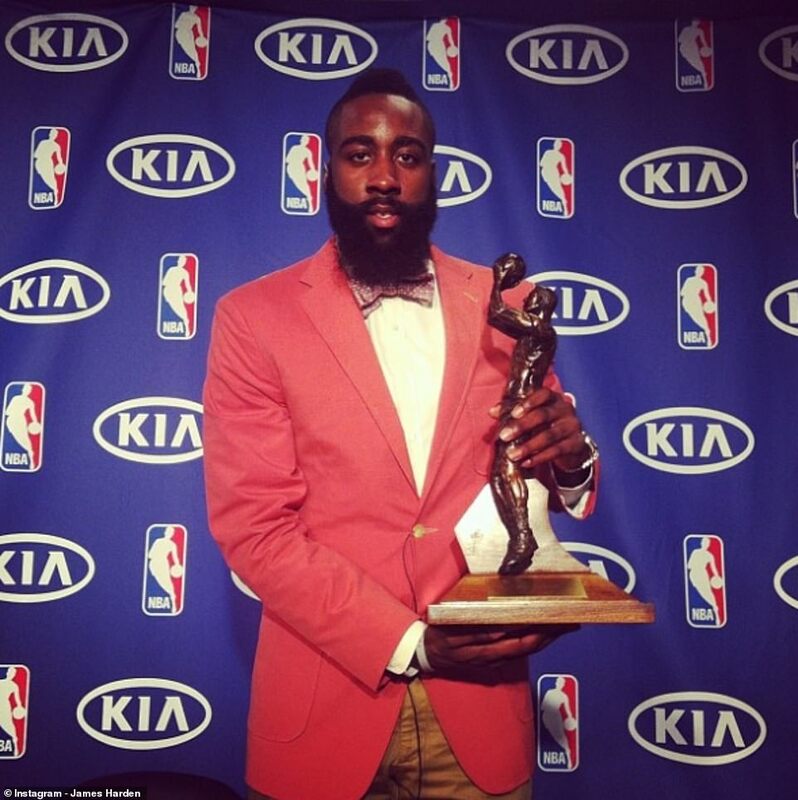 Then Oklahoma City Thunder made their pick… James Harden. Aged 20, few could imagine a bearded asthmatic from Compton going on to be the sport’s Most Valuable Player over the next decade. But it happened. 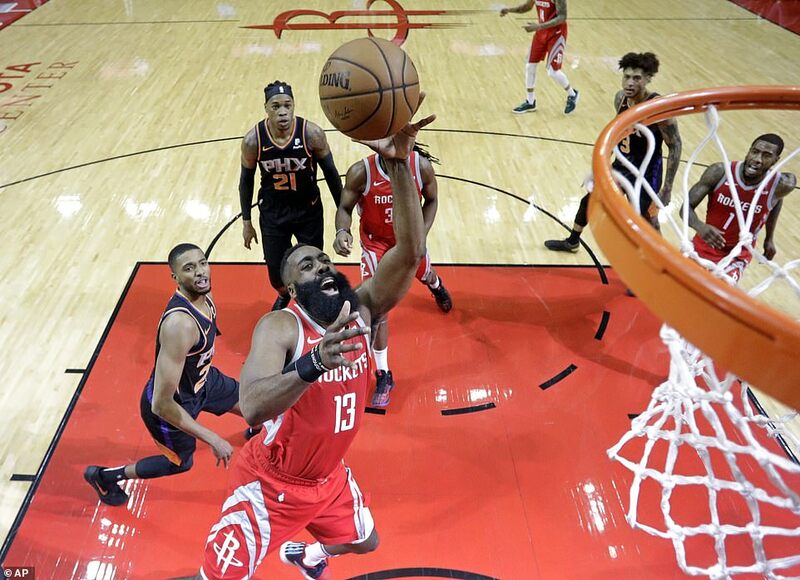 And so Harden quickly became the team’s ‘sixth man’ – a player who does not start games but makes an impact from the bench – having begun to gel with team-mates Russell Westbrook and Kevin Durant. 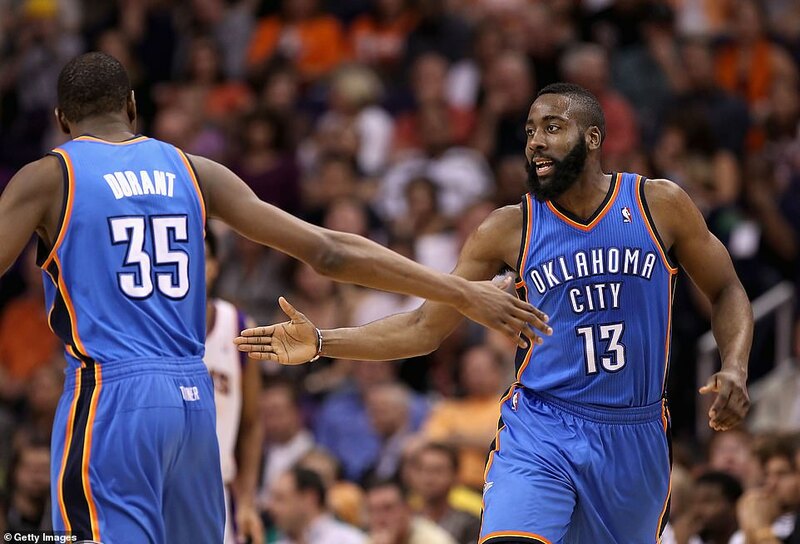 The presence of such a formidable sixth man showed the quality of Thunder’s team at that time. Two seasons later he went on to lift the NBA’s Sixth Man award, taking 584 of a possible 595 from the votes cast. But like any ambitious sportsman, patience wanes and when OKC came back to the negotiating table in 2014 with a four-year deal worth $55m, Harden felt his time in blue and orange was up. They didn’t value him like Westbrook or Durant and that bothered him deeply. He needed to step out from the shadow, show his personality and go on to establish himself as not another sixth man, but a main man. Houston had a problem, and Harden was the answer. 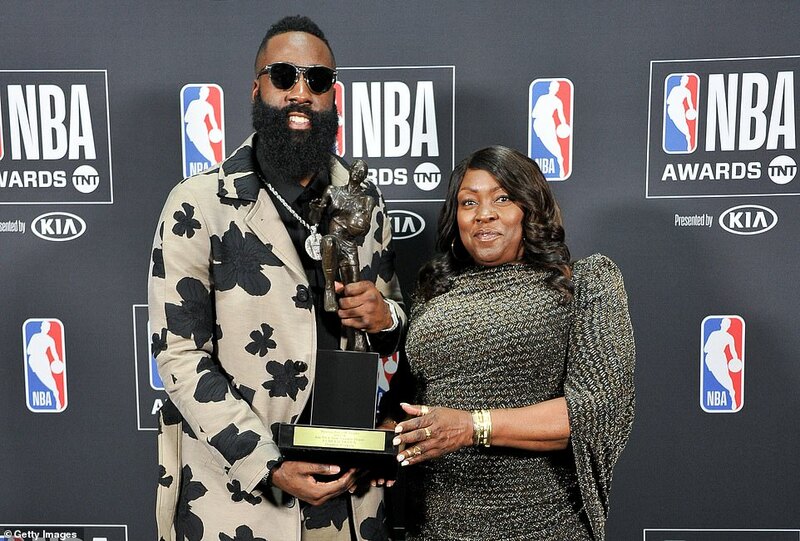 That was in 2012 and now, seven years on, Harden is the reigning MVP and is the leading scorer in the entire NBA with an average of 36.1 points a game from his 78 starts this season. For context, that is 8.4 points a game more than ‘Greek Freak’ Giannis Antetokounmpo and 8.8 more than Golden State supremo Stephen Curry. A shooting guard being good at shooting should come as no great surprise but even by Harden’s standards, this season has been preposterous. Only this month did he become the first NBA player in history to score 30 points or more against every team in a single season. Absurd. 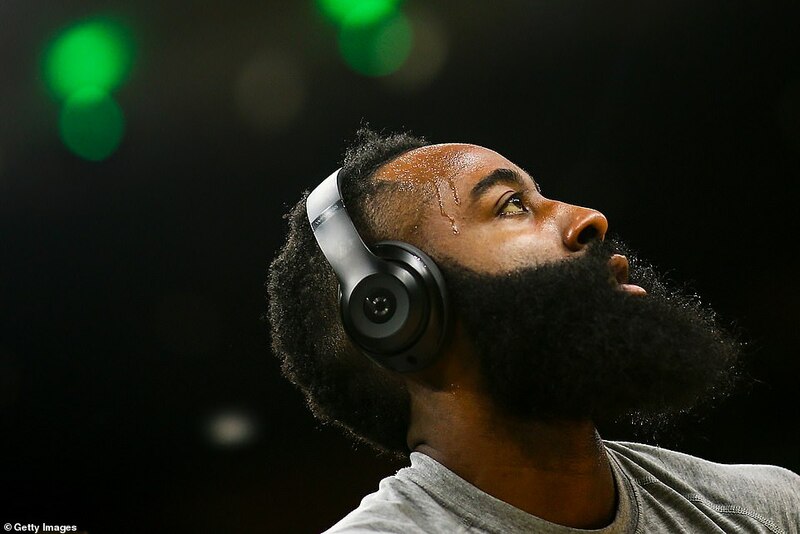 Harden is the face of Papa John’s pizza in Houston, fronts up adverts for Foot Locker, State Farm, Hulu and BodyArmor, has a $200m deal with adidas and emerges on court firmly on brand with his Beats by Dre headphones. 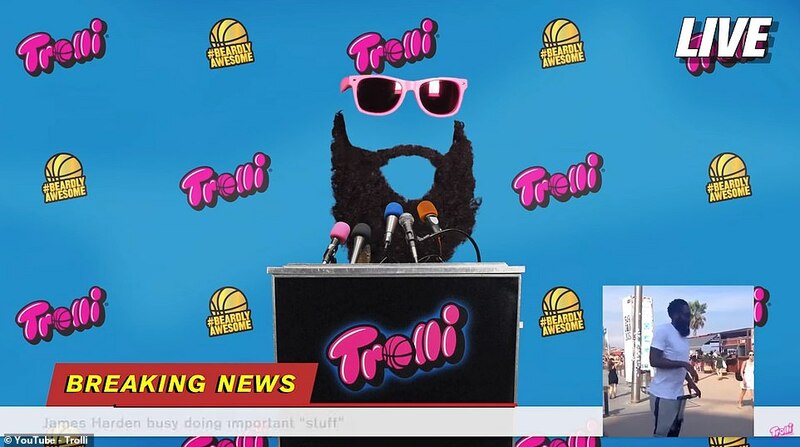 Much of those endorsements rely on his eccentric personality, dry humour and appetite for the extravagant, but for confectionery company Trolli the facial hair alone takes centre stage: in their commercial, the beard fields questions in a press conference while ‘the rest of James Harden’s face’ had work to do elsewhere. A packet of ‘Sour Brite Weird Beards‘ suggests his bristles taste of cherry, lemon, strawberry, grape, orange and lime. 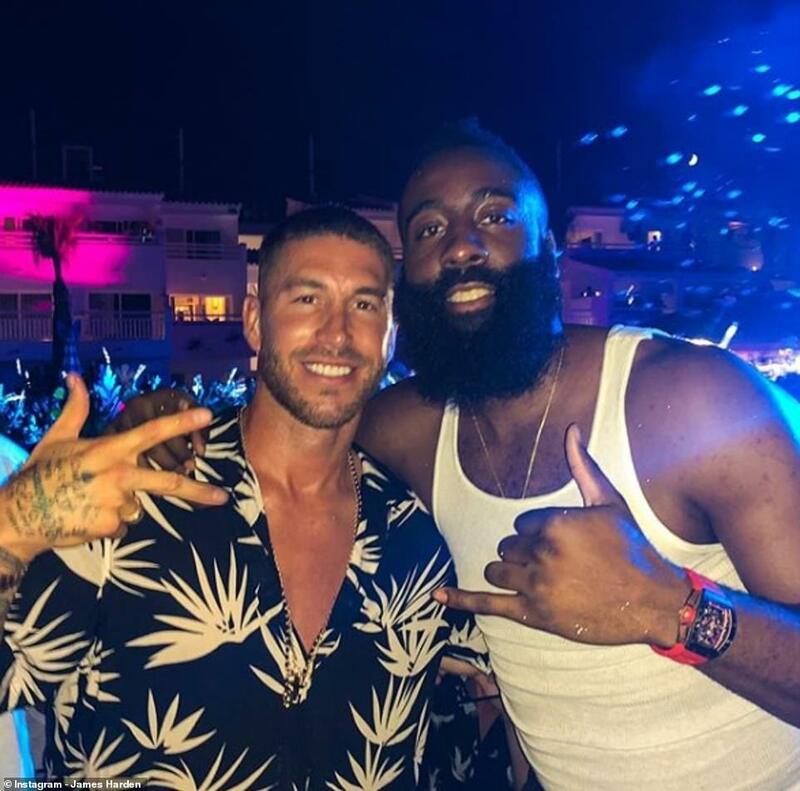 Harden appears to have no craving for the quiet life these days – something that no doubt delights his 9.7million followers on Instagram. 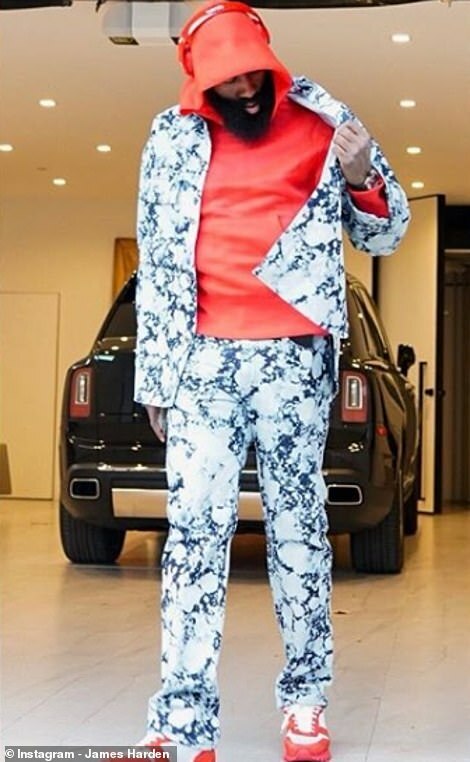 You only need to look at his pre-game attire to know that Harden is now in a place where the light shines brightest on everything he does. 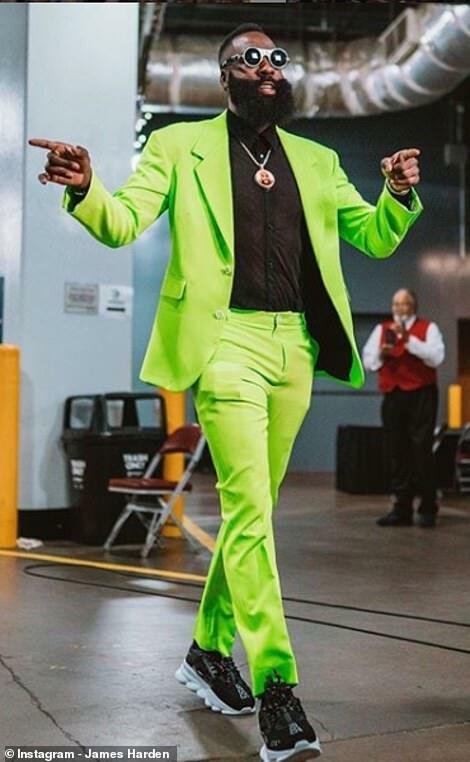 A bright green suit paying homage to the Grinch. The hooded, wet-look green raincoat was another head turner. That doesn’t even take into account his Batman-style garments for the Halloween matches. 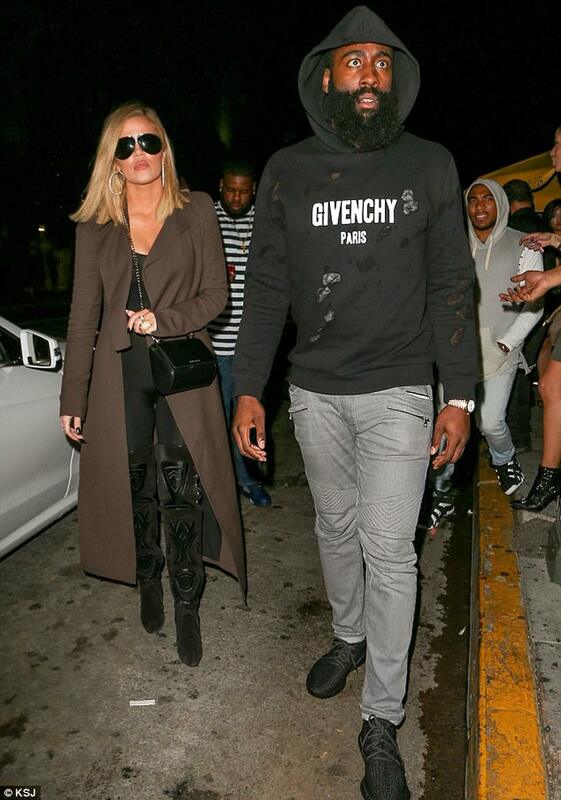 Stepping off the team bus at the hotel in Biscayne Bay, south Florida, in 2015 off the back of a defeat by Golden State, Harden was mobbed by paparazzi, keen to get close to Khloe’s beau. 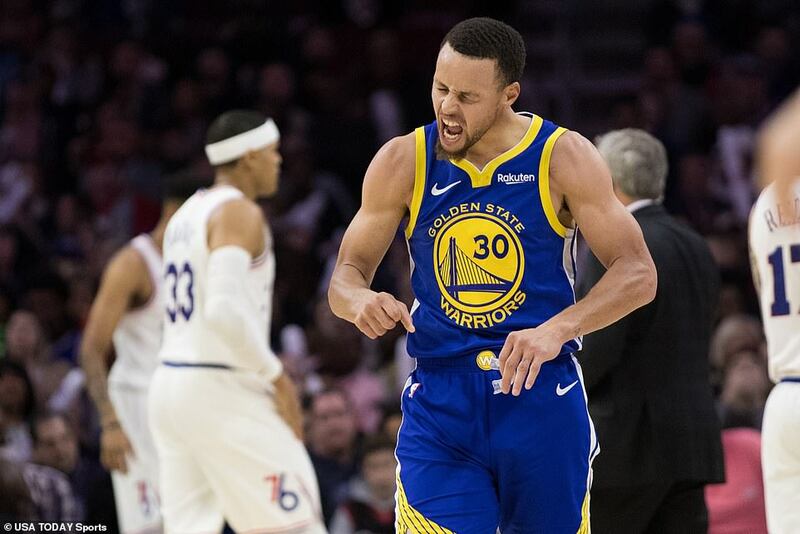 The focus needed to be on his basketball, but even then the focus and scrutiny can often throw up plenty of vitriol surrounding his game. 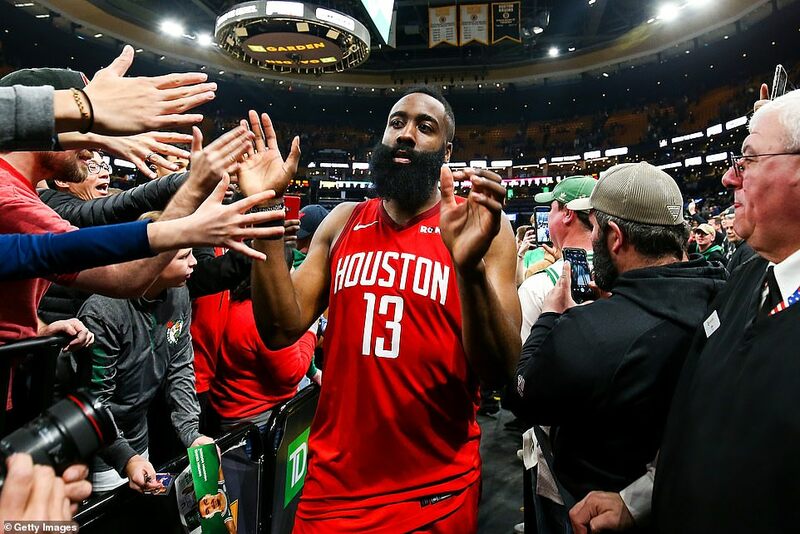 For all of the records Harden breaks and the astonishing points returns he can deliver night after night, he is one of the sport’s most criticised players. 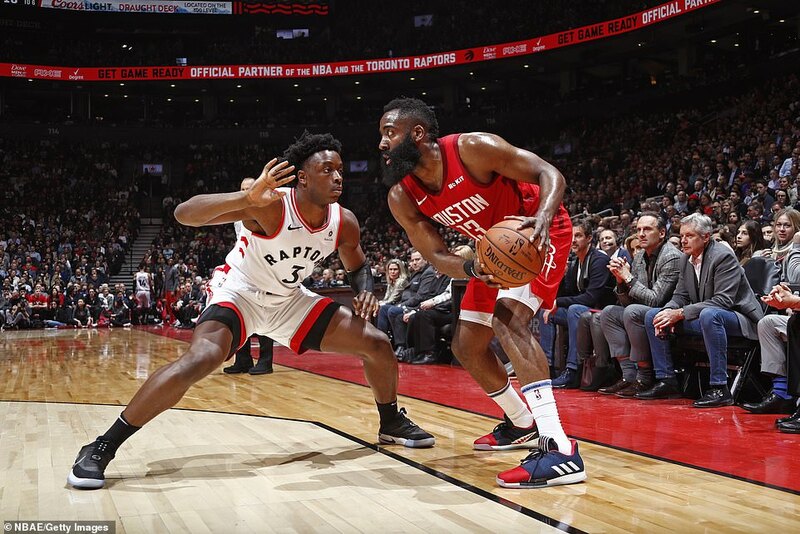 Harden has earned an array of critics for his style of play: the endless dribbling, disregard for team-mates and the fact free throws – unopposed shots 15 feet from the basket – make up so much of his point returns. 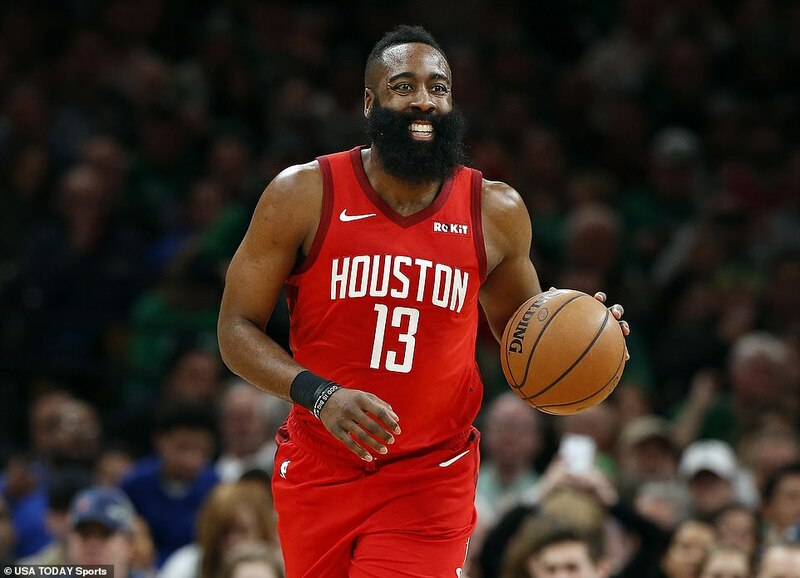 Imagine a footballer who regularly adds to his goals tally from the penalty spot and it paints a clearer picture of how Harden is viewed in some fan circles. Travelling is one of the biggest areas of contention with Harden. In recent years a number of players have managed to style out the illegal move – a player is considered to have travelled once they have taken more than two steps without the ball being bounced. But Harden is considered the ‘duke of the double dribble,’ according to The Loop. 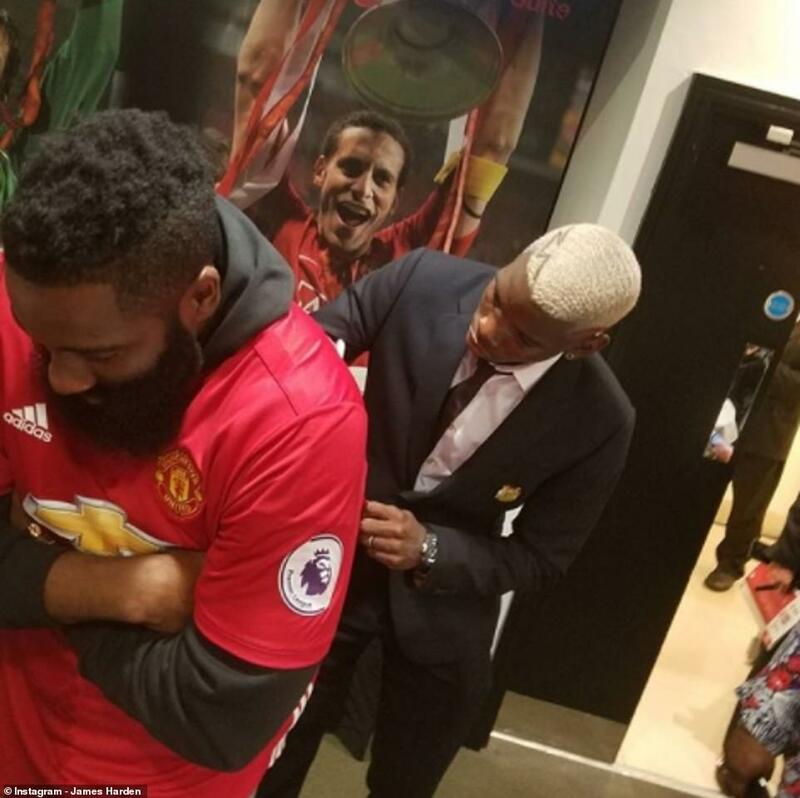 Regularly pulled up on his misdemeanours on court by the media, Harden, having once been touchy on criticism, can now laugh it off. ‘What do you want me to say? Tell on myself?’ Harden told ESPNfollowing a 102-97 win over the Utah Jazz back in December. Certainly one of the NBA’s marmite figures, he is loved in Houston and Oklahoma but is questioned vociferously elsewhere. Harden lacks the trophy cabinet of Curry and the god-like status of LeBron James but deserves to be held in the same conversation as them – the stats alone tell us so much. Legacy is important to him – the women’s foundation he set up and runs with such a hands-on approach shows us that. But to be considered one of the sport’s greatest ever he needs a Larry O’Brien NBA Championship Trophy. The greats are remembered for titles, not Kardashian girlfriends and not gummy-flavoured beards. Now is the time for Harden to step up and be Houston’s ‘lucky’ charm en route to a first title since 1995.